Really like the portrait. I’m somewhat of fan of The Roots, and they are from Philadelphia where I once lived for 10 years. ?Love and The Roots also appear on a Yo Gabba Gabba, a children’s show that my kids sometimes watch (I think it’s strange, though the “Don’t Bite Your Friends” bit is useful.) 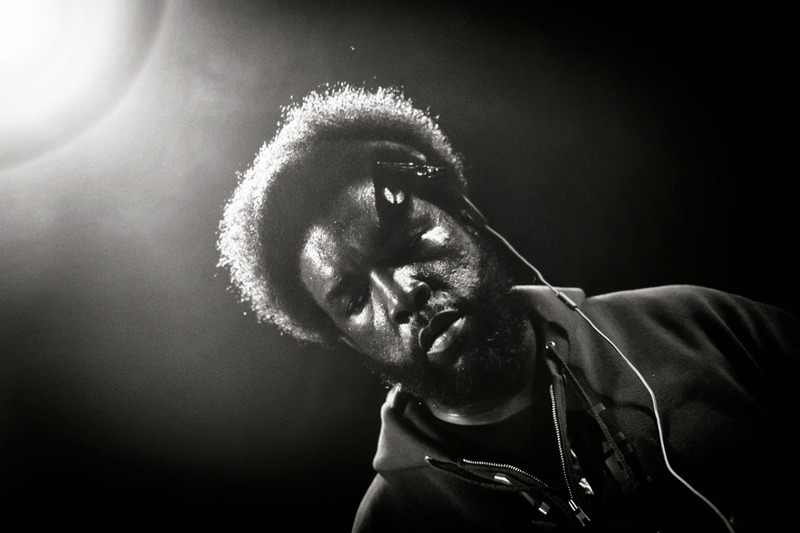 NY Times did an article on QuestLove saying he’s the hardest working man in show business now, due to all his jobs. They might be right. Thanks Mark. Questlove played an amazing DJ set of hip hop, funk, boogie, house music and even mixed up three Michael Jackson tunes at some point (Had to dance with two cameras in hand on stage). I think NYTimes is right, did they not also name him coolest person or something?